Anderson & Anderson Construction and Consulting has been providing experienced insurance restoration contractor services to Crown Point residents and commercial business owners for insurance damage, fire and water damage or storm damage repairs for years. Our expert contractors have more than a quarter of a century in the industry, so when choosing our services our customers can count on the best restoration service in the area. No project is too large or too small for our experts. Whether you need a restoration for your Crown Point residential home or commercial business, Anderson & Anderson Construction and Consulting is waiting help you. 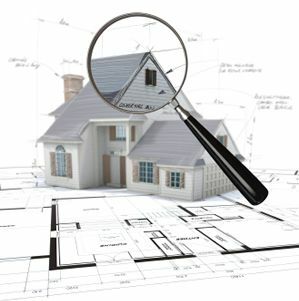 We are the areas trusted general contractors for property restorations who take our reputation seriously. We always strive to provide expert services every time we work on an insurance restoration for customers. When you need someone you can count on to give you honest and impeccable service, call Anderson & Anderson Construction and Consulting. Dealing with damages to your Crown Point home or business that is caused by elements of nature can be a nightmare if you don’t know who to call for professional restoration help. Your Hazard Insurance claims can also be complicated and tedious when trying to ensure you get the most from the claim. While the insurance company will send out their inspector to make an assessment, you need someone on your side with YOUR best interests in mind. Having Anderson & Anderson Construction and Consulting by your side means you have an experienced team of professionals who can take care of everything from beginning to end, ensuring you have the complete restoration you need and deserve without all the stress and strife. Crown Point fires and floods can devastate a home or business, leaving the family or business owner without a place to live or do business. Fire damages often include water damages due to the necessity of using water to put out the fire. If your home or business in Crown Point has suffered from fire or water damages, you can count on the professional restoration service of Anderson & Anderson Construction and Consulting. At Anderson & Anderson Construction and Consulting, our storm damage restoration specialists provide a full array of general contractor services including restorations from damages due to storm activity. We serve you with restorations of electrical, plumbing, and any other systems, and often handle all new builds. By choosing us for your Crown Point Insurance Damage Restoration contractors, you have access to everything you need for your restoration project. If you are looking for more about expert insurance restorations, fire or water damage restoration, or storm damage restoration in the Crown Point, IN area then please call 219-662-7200 or complete our online request form.